Security researchers from McAfee have spotted a new Android banking Trojan dubbed MoqHao, targeting South Korean users via SMS phishing messages. Attackers send phishing emails with a malicious code link that tricks victims into believing that it points to a lost private picture or a Chrome update. When victims click on the shortened links in the SMS messages the MoqHao Android banking Trojan is installed, then the malicious code attempts to spread by sending phishing SMS messages to the victims’ contacts. 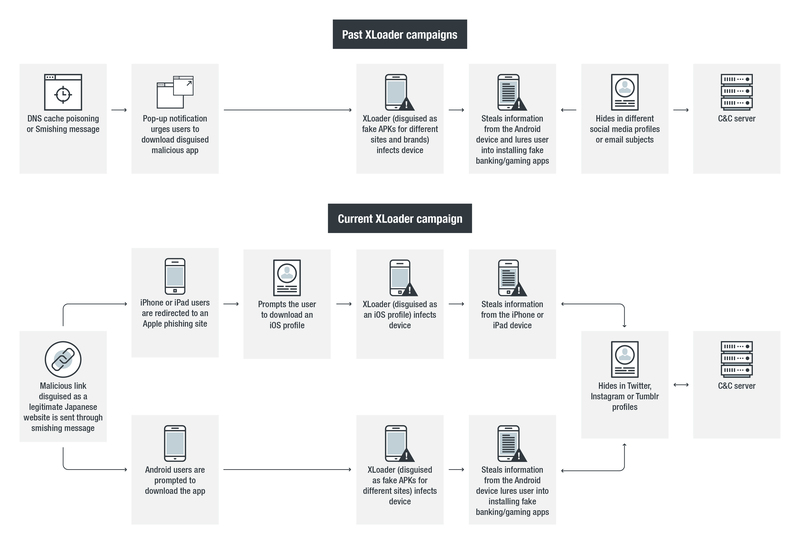 “Last month, a number of users started posting on South Korean sites screenshots of suspicious SMS messages phishing texts (also known as smishing) to lure them into clicking on shortened URLs.” reads the analysis published by McAfee. The MoqHao banking Trojan can execute commands send by the C&C server and collect sensitive information via a local Google phishing website. Unlike Android banking Trojans, MoqHao includes java-httpserver to host a phishing page that opens in the default browser once the user clicks on a fake alert message. Once the victim has downloaded APK and installed it, the malicious code requests various suspicious permissions, such as “directly call phone numbers,” “read your contacts,” or “read your text messages.”In order to achieve persistence, the malware asks every second for device administrator privileges, even if the victim dismisses it. MoqHao monitors on the user activities by registering a broadcast receiver for system events (i.e. New package install, screen state, SMS messages). Then the malware also connects to the first-stage remote server and dynamically receives the IP for the second-stage server from the user profile page of Chinese search engine Baidu. MoqHao checks whether major Korean bank apps are installed and downloads the related Trojanized versions from the C&C server, then it displays alerts the victim that an update is available for the targeted app. Once the victim accepts to install the update, the malicious app replaces the legitimate one. Experts believe the malware is not completed or some features are still not active. “During our analysis of this threat, when Android/MoqHao requests the download of a specific fake or Trojanized banking app, the control server responds with an error. Affected users in South Korea have not reported downloads or attempted installation of additional APK files. This suggest that the fake update functionality is probably not implemented or is at least not currently used by the malware authors.” continues the analysis. 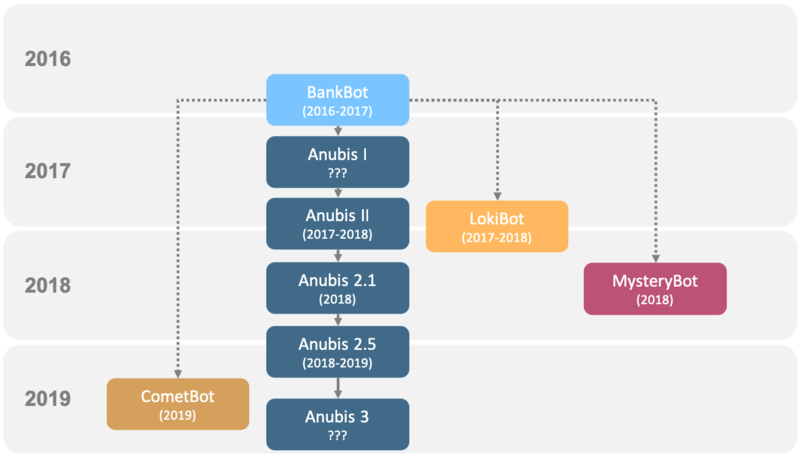 The MoqHao banking Trojan was first spotted in January, likely it was just a test version that was continuously updated in February and March arriving at a stable release in May. Experts linked the malware to a hacking campaign that in May 2015 targeted users in South Korea via a phishing message in the default web browser. Although the two malwares have very similar behaviors, they have completely different code bases. “The similarities between the 2015 and 2017 phishing campaigns suggests the same cybercriminals, who have shifted from DNS redirection attacks to a smishing campaign. The attackers are still targeting Chrome and getting the control server from a dynamic webpage while changing the code base of the initial dropper component as well as the dynamically loaded payload,” concluded McAfee.